This meme could not be more true. 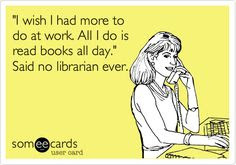 However, if you asked me how many books I read last school year that were not related to a lesson I was teaching at school or to my four year old son, I would be completely embarrassed. So this summer I decided to make reading a personal priority. 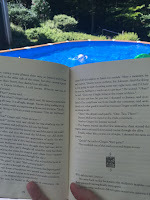 It was important for me to make time for myself doing something I enjoy, to catch up with what's new in YA literature, and to be a better reading role model for my son. I committed myself to 50 pages a day. If I faltered one day I would force myself to read 100 the next day. I started with a list from fellow librarian and friend Casey who is one of the most voracious readers I know. She was also a co-chair of the committee that selected the 2017 High School Nutmeg Nominees. She gave me personal suggestions and then I began following her on Goodreads. I forgot how much I love YA literature. It is mature and edgy, full of angst and humor, violence and hope. Don't get me wrong, I love children's books too but after 18 years of not reading many books above an 8th grade level (occupational hazard), it is nice to finally "grow up." For those who may not use Goodreads yet, it is social media for books. Goodreads allows you to keep track of books you have read, are currently reading and want to read. I love going to the library and having my book wish list right there on my phone. Or if I forgot my phone I can log on with a library computer. Goodreads works with Facebook if you choose that option so you can see what your selected friends are reading and recommend. A great way to find your next read! Goodreads allows you to share your reading lists, rate and review books, and share all this with your friends that follow you. As a school librarian, my hope is that my Goodreads will inspire students (maybe parents) to read for fun, something I know gets harder for students to find time for as they balance schoolwork, athletics and extracurricular activities. I will invite them to follow me for book ideas, start their own reading wish list or use it with their own circles of friends to share the love of reading. I use the Goodreads widget to highlight some of my favorite books on this blog. A link to my profile from there as well. I also use a widget in my email signature showing what I am currently reading. In the world of fast paced technology, I love that Goodreads is there on my screen reminding me to shut down my social media and dive into a book (or a Kindle app). Speaking of...off to finish my current book so I can continue on my "books I want to read" list!